Raven has released the first in a series of new recordings by Timothy Olsen, Organs of North Carolina. Vol. 1, The German Muse, (OAR-977), features the 1965 Flentrop at Salem College in works by Buxtehude, Distler, Böhm, J. S. Bach, Pachelbel, Zipoli, Hindemith, and Walcha. Vol. 2, The American and French Muses (OAR-145), features the 1977 Fisk op. 75 at the University of NC School of the Arts; works by Margaret Sandresky, Aaron Travers, Ted Oliver, Claude Gervaise, de Grigny, and Franck. $15.98 each, postpaid worldwide from RavenCD.com. Trumpeter and flugelhornist Judith Saxton joins Olsen for the new work Frost and Wind composed in 2010 by Raleigh, NC, native Ted Oliver. Saxton also plays piccolo trumpet in three Renaissance dances by Claude Gervaise. Other solo organ works played by Olsen include Grigny: Veni Creator and Franck: Prelude, Fugue et Variation. 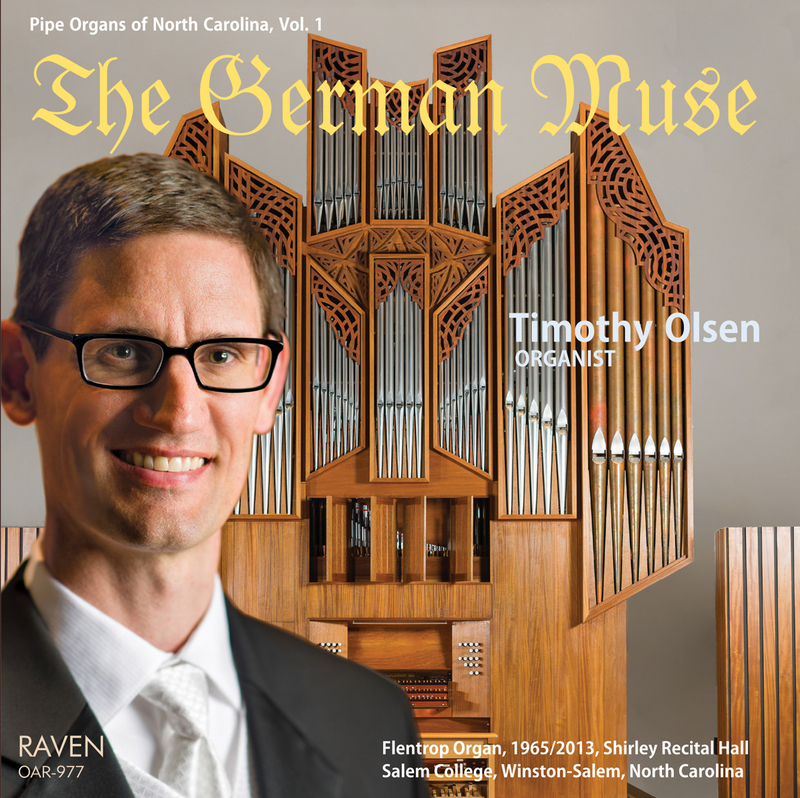 Timothy Olsen is the Kenan professor of organ at the North Carolina School of the Arts and associate professor of organ at Salem College, having been appointed to the joint positions in 2009. He is the first-prize winner of the 2002 AGO National Young Artists Competition in Organ Performance and was a finalist in several other competitions internationally.